The third game of the ERSTE Liga finals was decided in the 68th minute of play in Csíkszereda as Ferencváros took the game. Csanád Fodor, Hugo Gecse and Anisin were missing from the lineup for Csíkszereda, Renátó Tóth was back in the lineup Renátó Tóth. 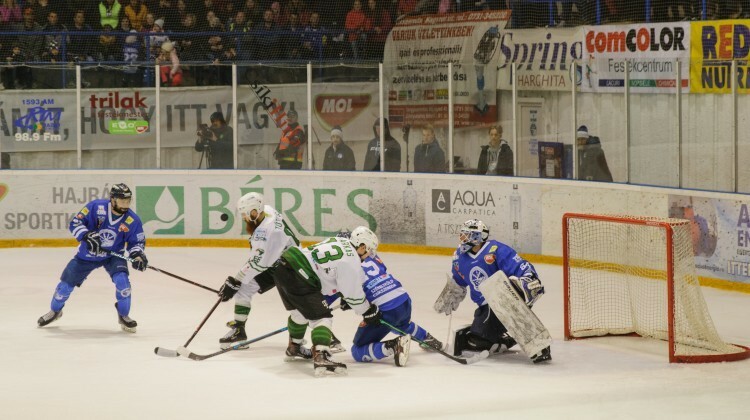 Compared to the first two games in Budapest both teams put an emphasis on defending in the third game. The first period did not bring any goals, the opening goal of the game was not scored until there were seven seconds left in the second period when Adrián Tóth scored from close range. In the third period Tihamér Becze tied the game up at 1-1 when he redirected a shot in the 47th minute. Neither team was able to score in the remaining time that was left in in the game. Gergely Arany made two big saves, on the following rush Lundström saved Switzers shot but he was unable to save the follow up chance from Perrier as FTC-Telekom took game three of the series.